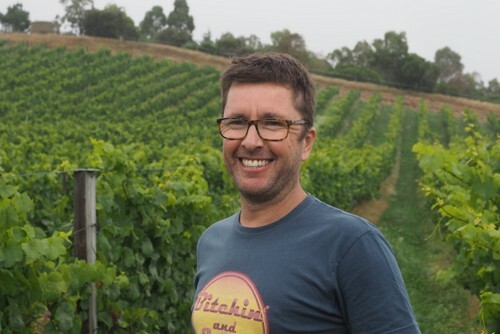 Mike Paterson used to be the winemaker at Jackson Estate, but now he’s making his own wines, along with his wife Anna, under the Corofin label. 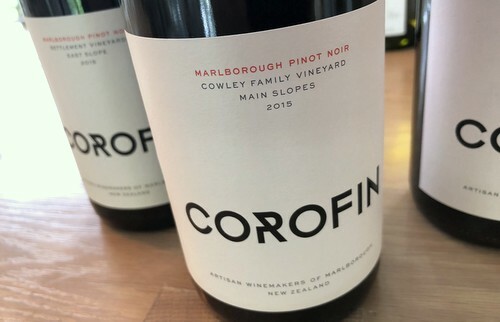 The idea behind Corofin is to make Chardonnay and Pinot Noir from privileged vineyards in the Southern Valleys of Marlborough, and to allow these sites to speak through the wines. I spent an afternoon with him visiting some of his key vineyard sites and then tasting through the wines. 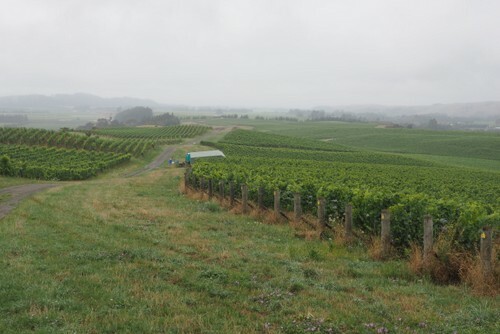 Auntsfield, owned by the Cowley family: this is where the Cowley Vineyard wines come from. It’s hidden in the Wither Hills, right at the back of the southern valleys. 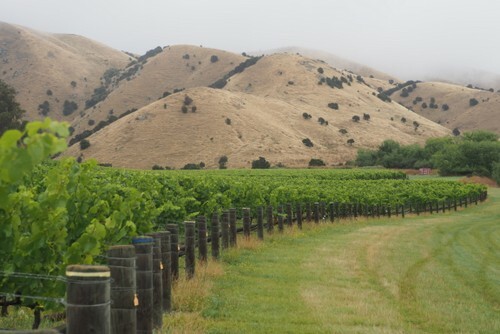 The Marlborough story is evolving as quite a few people are now focusing on making single-site wines. 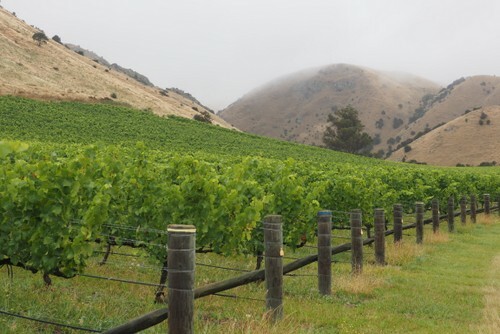 ‘In Marlborough there are plenty of great vineyards,’ says Mike, ‘but for many of these sites, there’s only one person speaking about them.’ He envisions a scenario where there’s a collective realization of which sites are effectively Marlborough’s Grand Crus. This could happen if in addition to the winery vineyard owners, other people made wine of these top sites. Mike really likes working with Chardonnay. 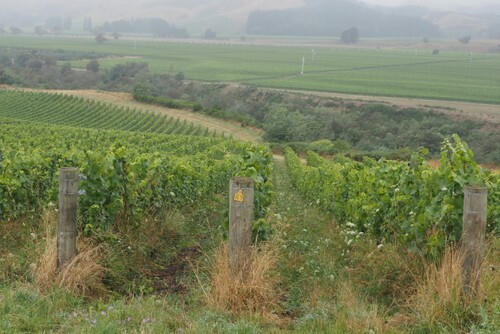 ‘As a winemaker you have a bit more impact with the Chardonnay,’ he says. ‘There’s always a sense of detail. 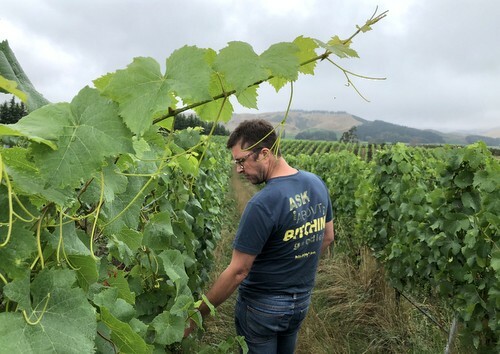 With Pinot, if you pick it at the right time, then you do pretty much the same thing all the time.’ For his Chardonnay he does not battonage, and the wine is sulphured and then goes to stainless steel for the last six months. 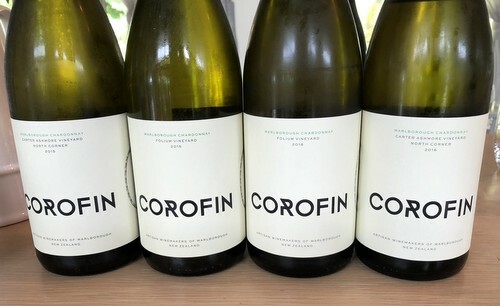 He doesn’t use sulfur until this stage, but he thinks that if you only sulfur just before bottling, then it disappears, so the wine looks good for a while, but then looks tired. It needs to be built up, hence sulphuring before the six months in tank. In 2015 he filtered the Chardonnay, but in 2016 he didn’t. All the wines are cork-sealed.